Motor yacht MARY ALICE II – 10 nights for the price of 7. This Westport 130 is offering Bahama yacht charters for the special rate of $94,900 + expenses, for 10 nights for a charter commencing between April 22 and April 27, in Nassau. Accommodations for 10 guests. Sail Yacht NEPHELE – 10% off low season rate for all bookings (both high and low season) confirmed prior to May 31, 2012. Available for Mediterranean yacht charters, the 34 meter sailing yacht offers accommodations for 6 guests in three cabins. 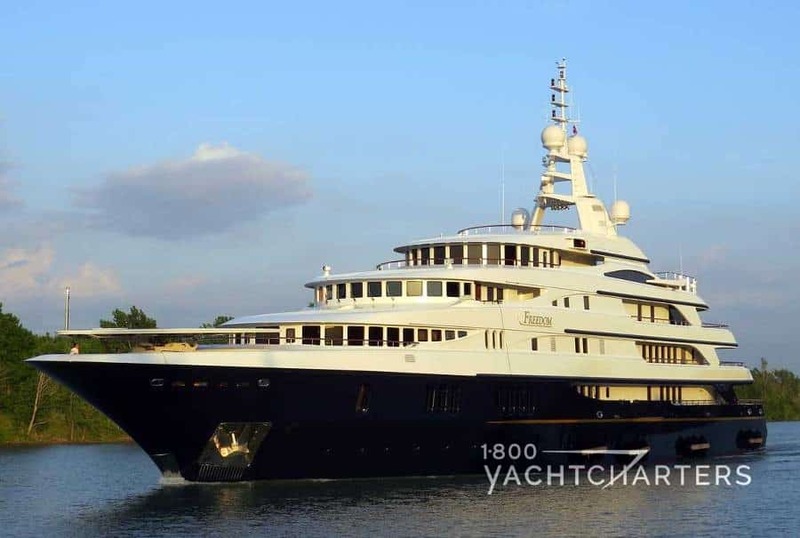 Her usual charter rate is 52,000 – 58,000 EUR per week plus expenses. Motor Yacht FREEDOM – 10% off any 7 night charter (excluding Christmas and New Year’s). That’s a savings of $6,450 off the standard all-inclusive (yacht, crew, fuel, meals, ship’s bar) rate of $64,500 for 1-9 guests. This 120′ Broward is based in St. Thomas,USVI, the perfect starting point for a Caribbean yacht charter. I thought to myself, “What about boat names?” Surely, the proud new owner of a private luxury yacht charter vessel must experience similar excitement in deciding what to name his or her new floating palace. Lo and behold, the Boat Owners Association of the United States (BoatUS), recently released their annual list of the Top Five Boat Names for 2017 [they actually list the top ten, but who cares about any top list after the first few winners]. Note – there are soooo many luxury yacht charter vessels with this name, we can barely keep them straight! Four of them are currently listed on our site, including the popular Greek yacht charter catamaran SERENITY, and we have NINE yachts with this name in our charter database! ANDIAMO – this perennial favorite name means, “Let’s Go” in Italian. Do you have a favorite boat name, perhaps for your own boat, or a luxury yacht charter vessel you saw at sea? Share that name with us, and if there’s a short story about the name, we would love to hear it! 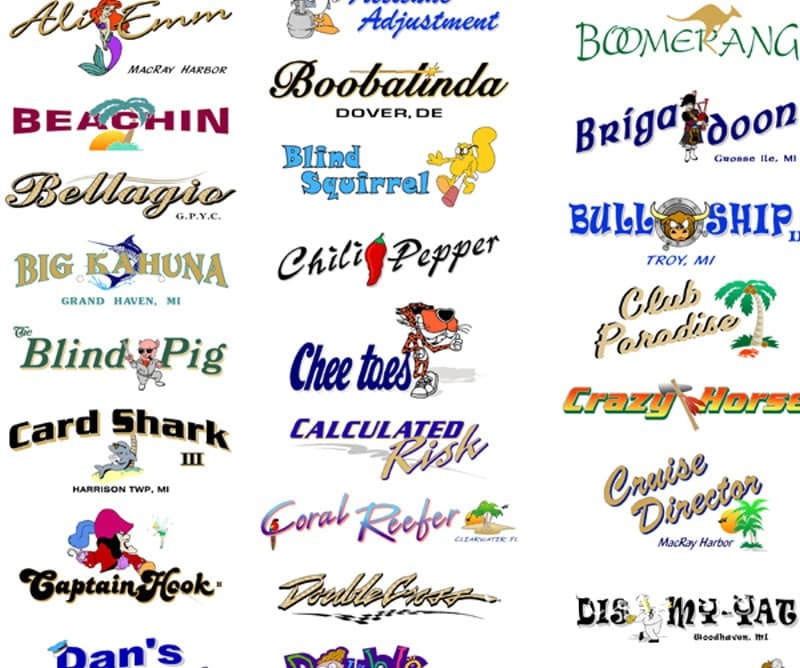 Email us your cute boat name at info@1800yachtcharters.com!